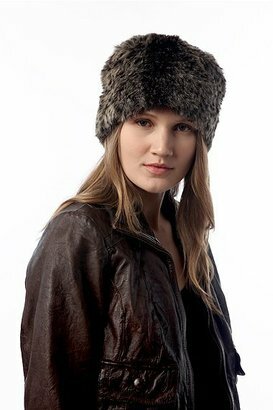 Channel Doctor Zhivago with this faux fur hat from Urban Outfitters, $28. Give this look a try for less with Mossimo's faux fur hat in either gray (shown here) or black, just $12 at target.com. Oh man, I JUST tried this on, but went with a red wool beret instead. I love my beret, but I did think that this hat was adorable. Now I want to run back and get it too! Love the hat!! Have never had the guts to wear one, but for $12.99, might be fun to give it a try! Won't it be hot in these fur hats? By the way, they look incredibly amuzing!